A series of older works, both personal and professional, that lead to fascinating insights into game design and more. 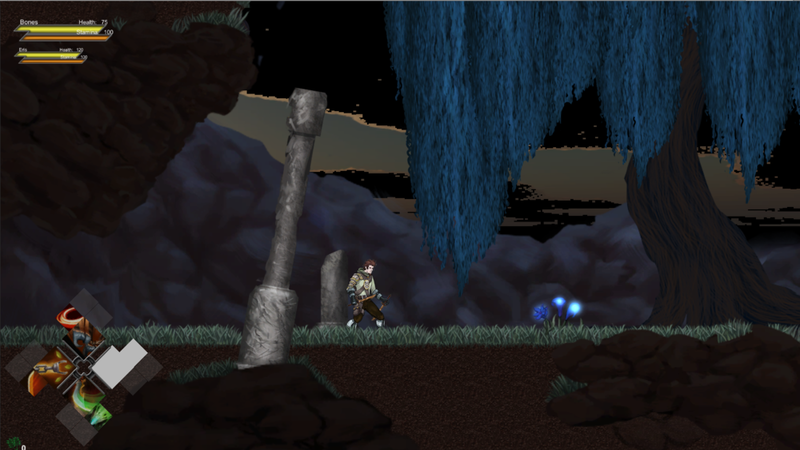 Buried Bones is an unreleased RPG and a valuable learning experience. I designed and programmed a role-playing game system including the following. 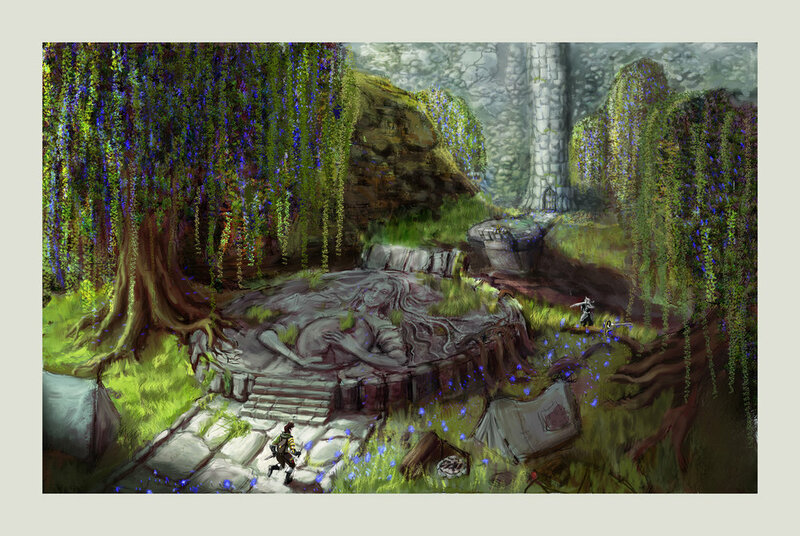 Skill-based combat system - at a campsite's players could select combat abilities each character would utilize in battle. Every skill would have a charge time which is filled by the player holding down the ability's button. Upon completion, you could then fire off the ability. Abilities could be delayed for use at a pivotal moment, or some had a damage bonus if charged longer. Real-time multi-character control - The controls were designed in such a way a user could quickly select actions for multiple characters. 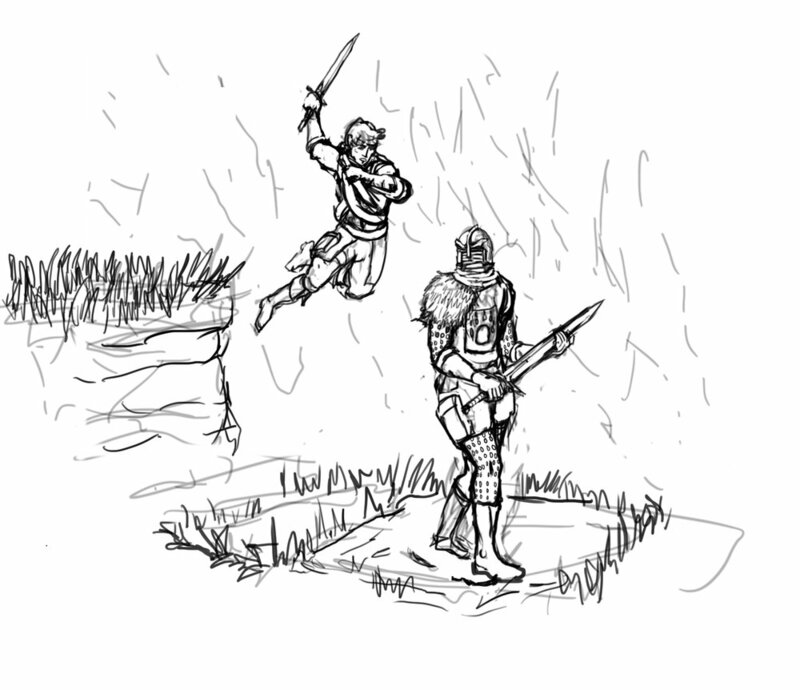 The goal was for the combat system to grow with the player's skill level. Quick access menus - The flow of battle was very important, and I wanted to ensure the pacing was never interrupted. Menus could be controlled entirely with the d-pad, so a player never had to pause the action. Create a class progression - Buried Bones started the game off with a base class that would specialize in a particular role such as Defense, Offense Healing or Support. As the player progressed, they could cross-class and make their classes fit the preferred play-style. On Canimals: Little Guardians I worked with the lead designer to tune each enemy encounter to ensure the game had a smooth difficulty curve that was friendly for younger players. Additionally I worked on balancing attack patterns to assure game balance. On Airheads I worked on the character's progression and unlockables that could be used to enhance the player's experience. Throughout the game, the player would accrue resources which can be used to upgrade their pilot and plane. I designed many of the power-ups and helped establish the in-game economy.